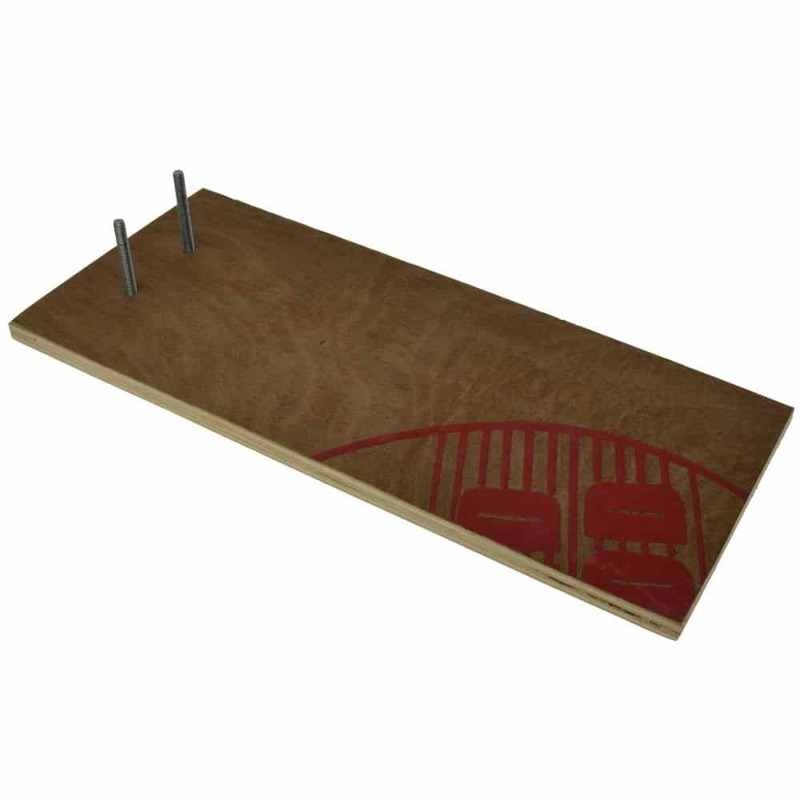 This wooden mounting board can be used with any of our badge makers to secure your machine. Comes pre-drilled with 2 x nuts, bolts and washers. Printed markings on the board may vary and there may be some tear out around the edges. Dimensions 36cm x 15cm x 1cm approximately.